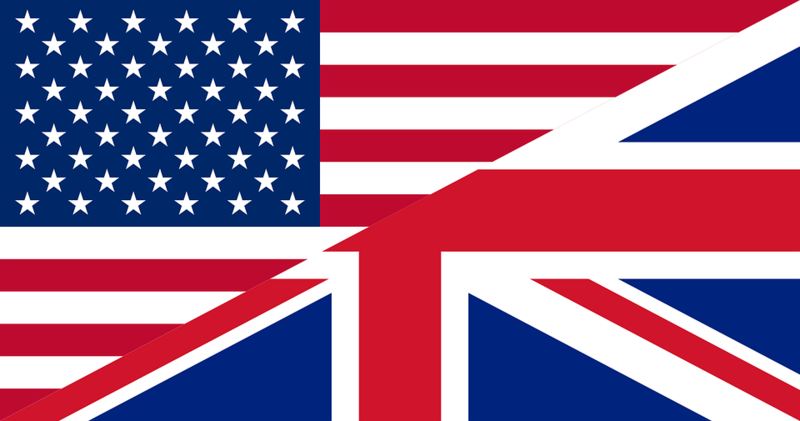 Welcome to this three-day shoulder course, covering arthroscopic and prosthetic surgery. 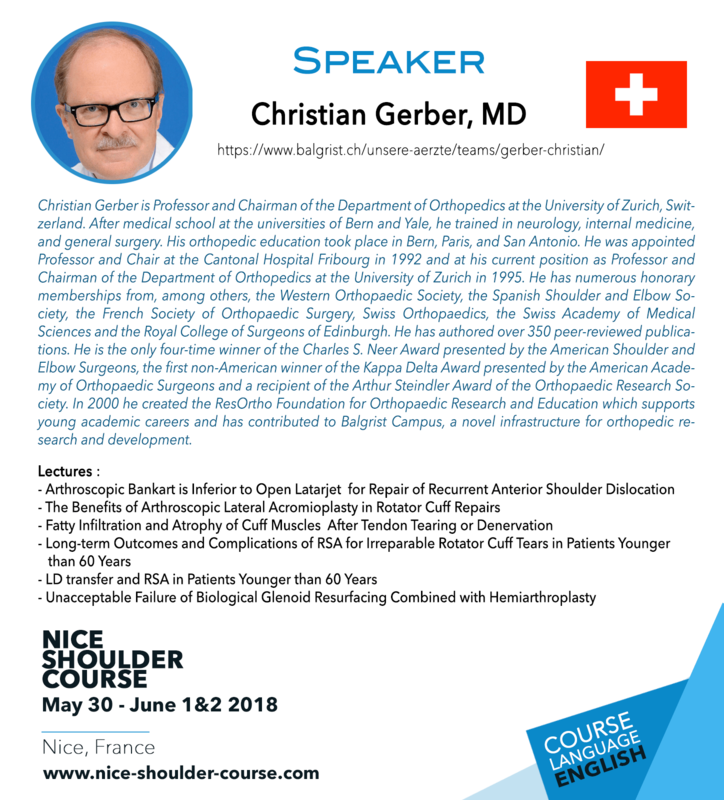 The program includes lectures by leading shoulder surgeons, round table discussions, a live surgery session and workshops with cadavers and plastic models. 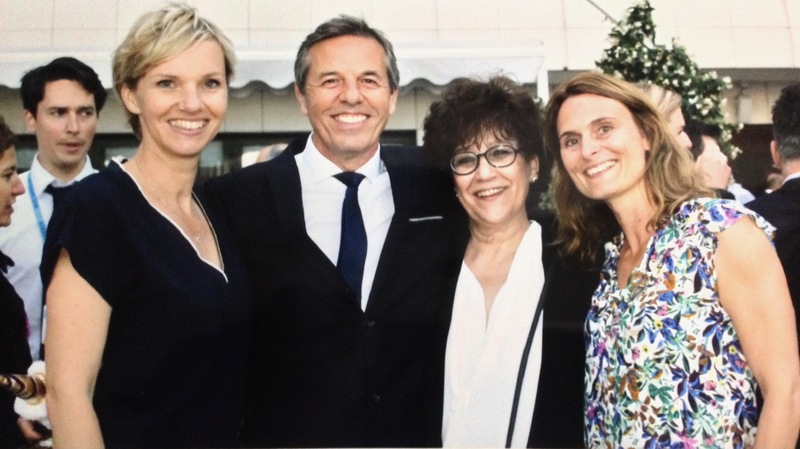 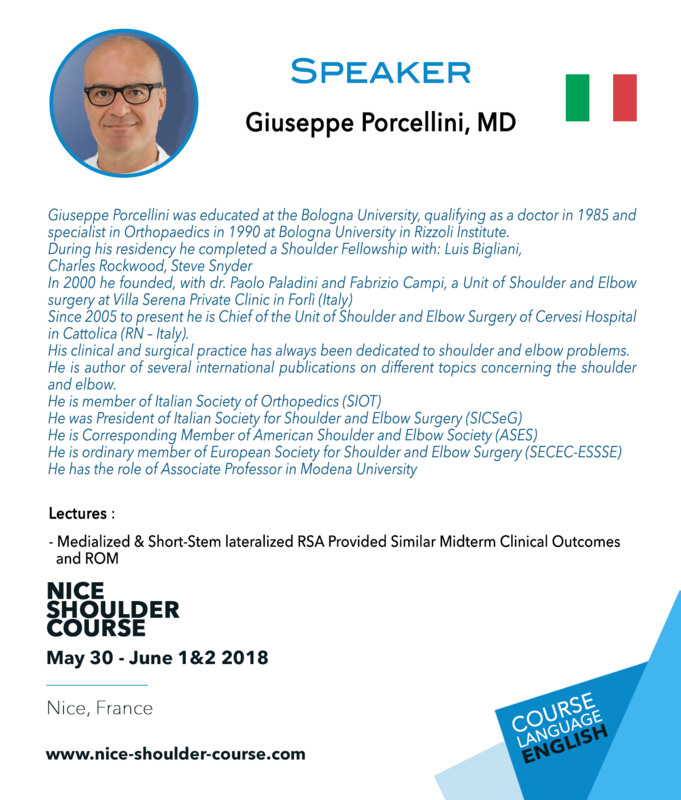 The Nice Shoulder Course 2018 has been accredited by the European Accreditation Council for Continuing Medical Education (EACCME®) with 23 European CME credits(ECMEC®s). 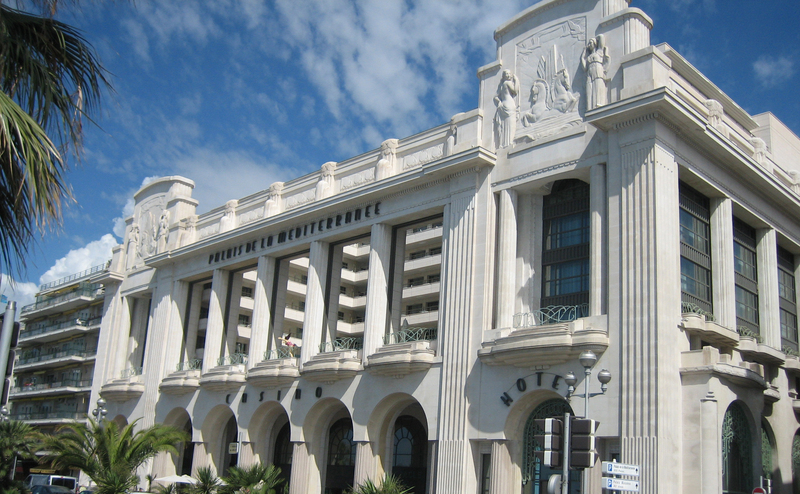 Venue: Hyatt Regency Nice Palais de la Méditerranée. 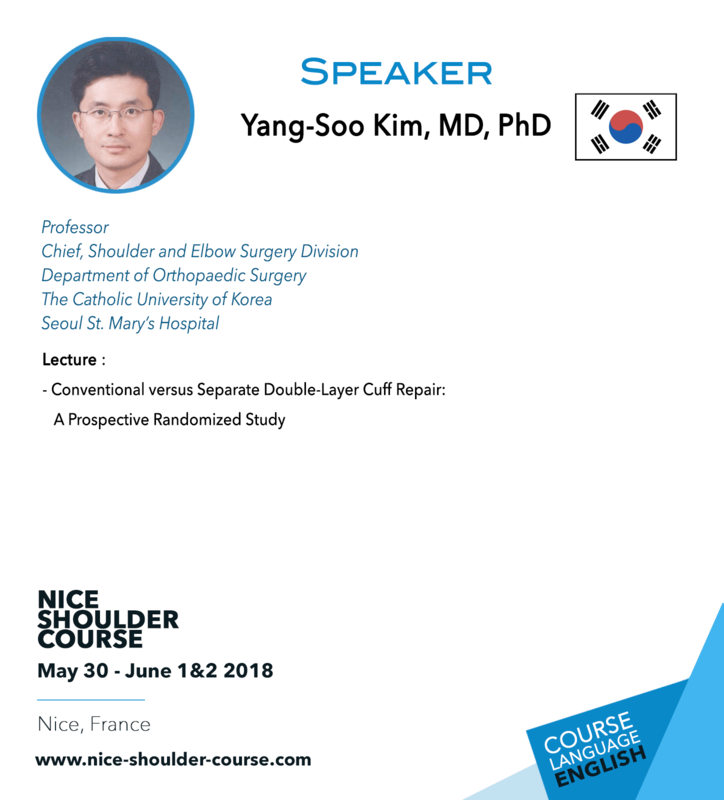 Understand the various techniques for rotator cuff repair, including double/single row, transosseous anchorless repair, partial repairs, and use of growth factors and graft augmentation. 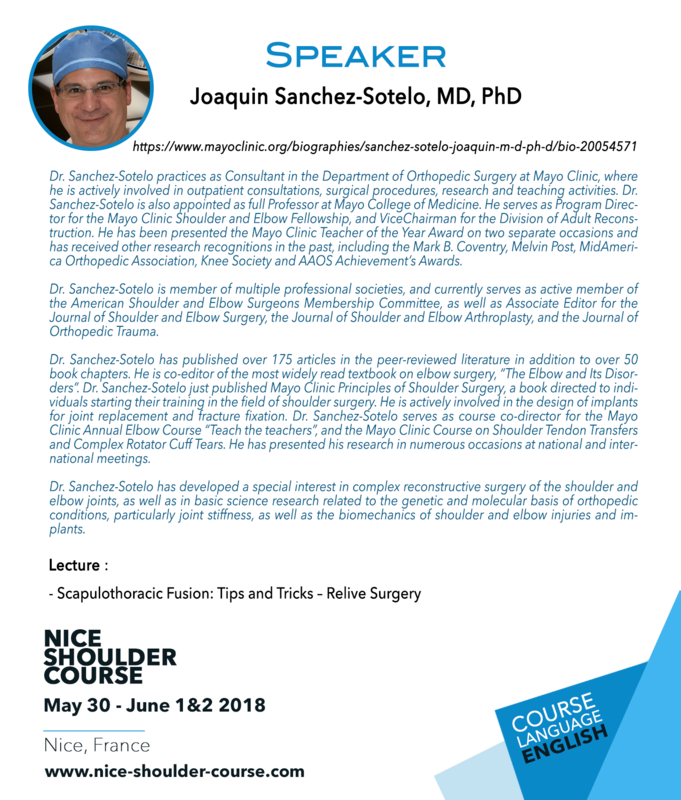 Address the options for the treatment of massive rotator cuff tears including tendon transfers, with or without reverse shoulder arthroplasty. 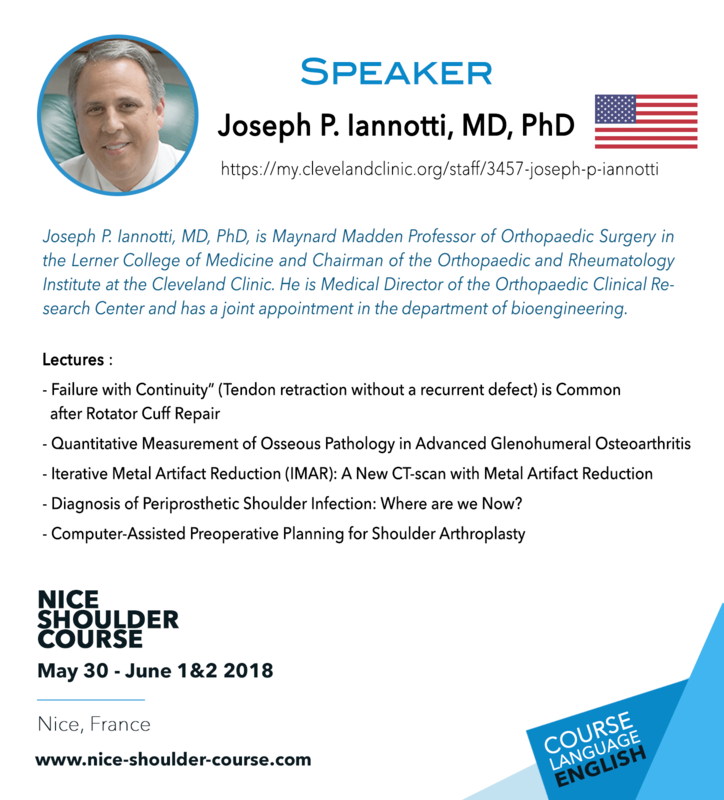 Develop strategies for the treatment of shoulder instability including: labral repairs, tendon transfers for humeral bone loss, bone graft procedures, and coracoid transfer (Latarjet- procedure) for glenoid bone loss. 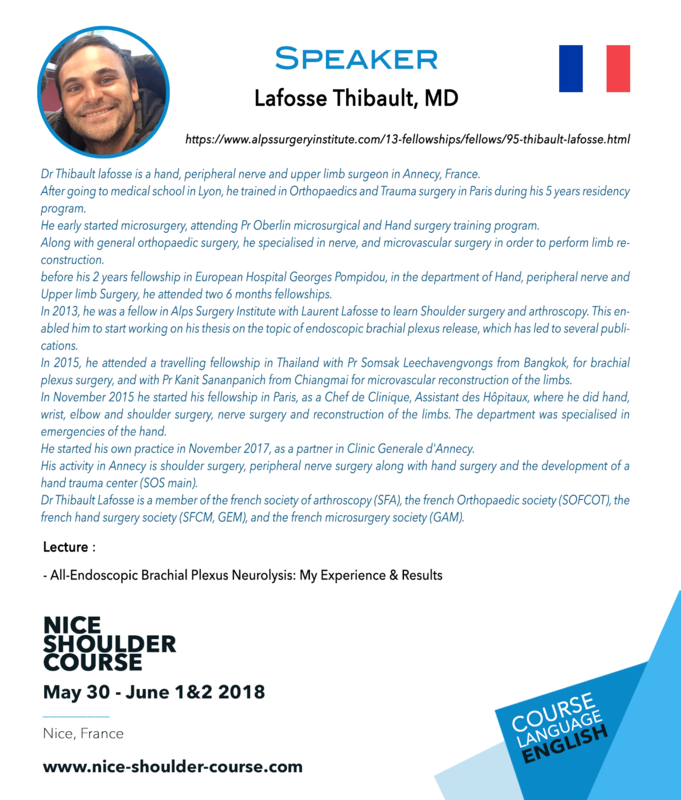 Understand physio-pathology and various approaches for the treatment of Proximal Humerus Fractures including: conservative treatment, ORIF, hemiarthroplasty and reverse shoulder arthroplasty with reconstruction of the tuberosities. 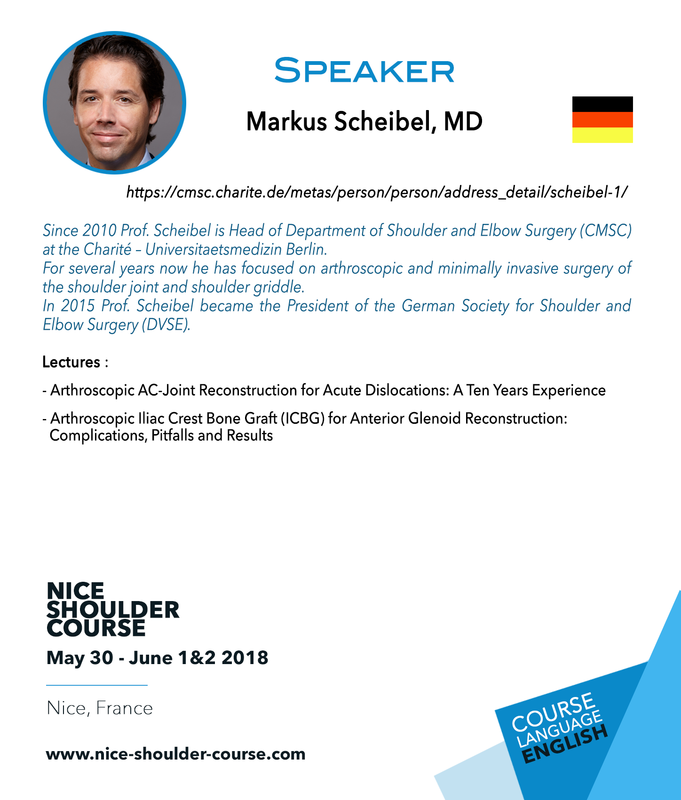 Understand shoulder injuries including acromio-clavicular dislocations. 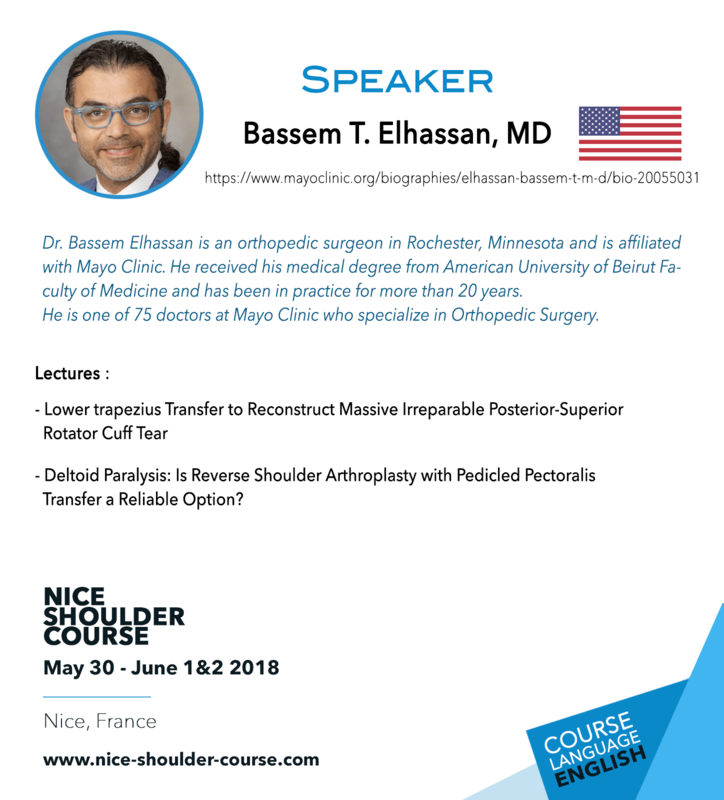 Understand and apply current concepts for shoulder arthroplasty. 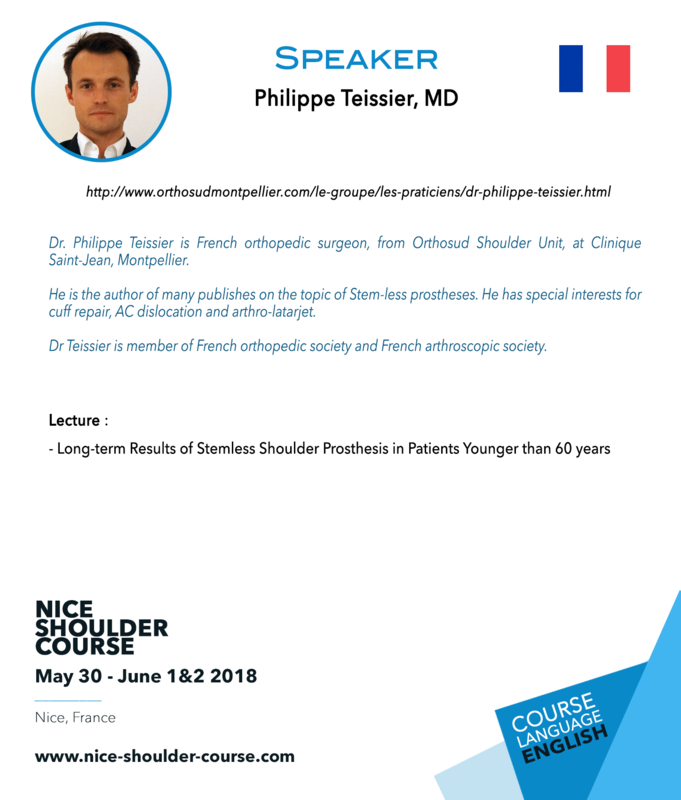 Understand the postoperative complications and outcomes following anatomic and reverse shoulder arthroplasty. 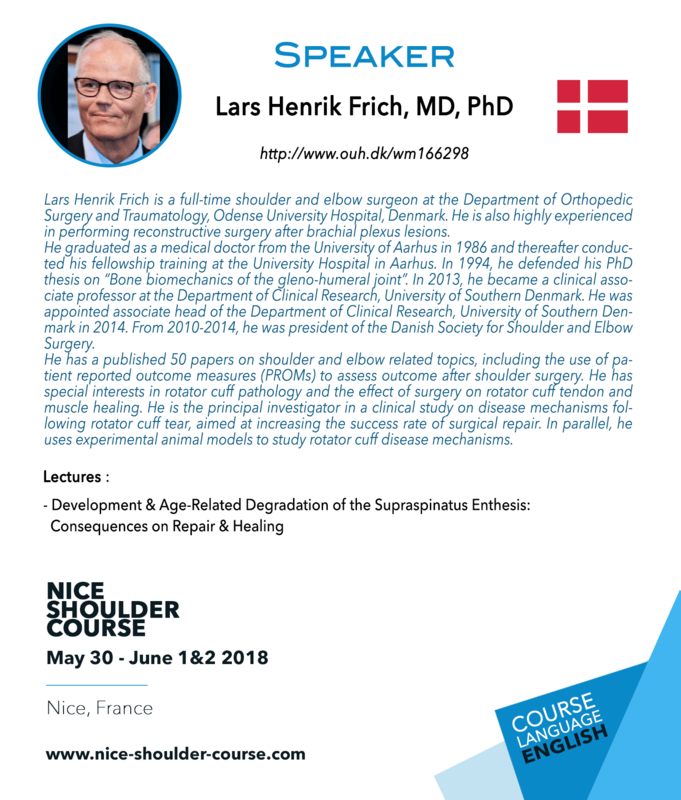 Understand and develop strategies for revising loose or failed shoulder arthroplasties. 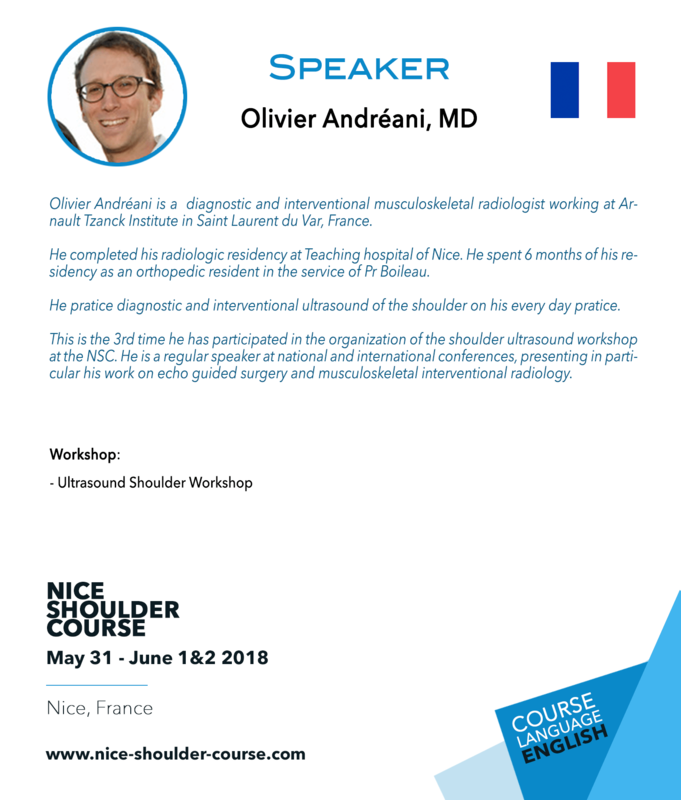 Apply innovative methods of assessment and management of various shoulder disorders.